If you run a local business, then a local SEO strategy is something you are going to need. Here’s why. When you need a local florist, or a plumber, or you want to check what time the Chinese takeaway in the High Street opens tonight, what do you do? Of course, you take out your smartphone and do a quick search, or you ask your voice assistant for the answers. And thousands of people are doing the same thing, several times every day. Over three quarters of search engine users never scroll past the first page of search results. So, if your business is not on the first page then quite simply you’re not going to get a look in. The same goes if you haven’t optimised your local business website so that it works well for voice search: something that is set to be responsible for 50 per cent of all internet searches by 2020. 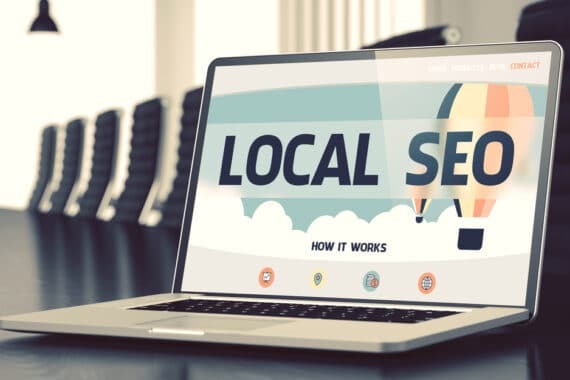 So, if you would rather not see your competitors whisk the business out from under your feet, read on to learn why local SEO matters. Google local SEO is for you if you have a physical location and / or a local audience. It is designed to help you promote your services and products to customers at the very time they are searching for them. 46 per cent of smartphone searches involve local intent; that means if someone is using their phone to search then they are ready to buy right now, or at least to make an enquiry. So it is clear to see why local SEO is vitally important if you have a local business. But what exactly is involved in a local SEO strategy? Let’s take a look. 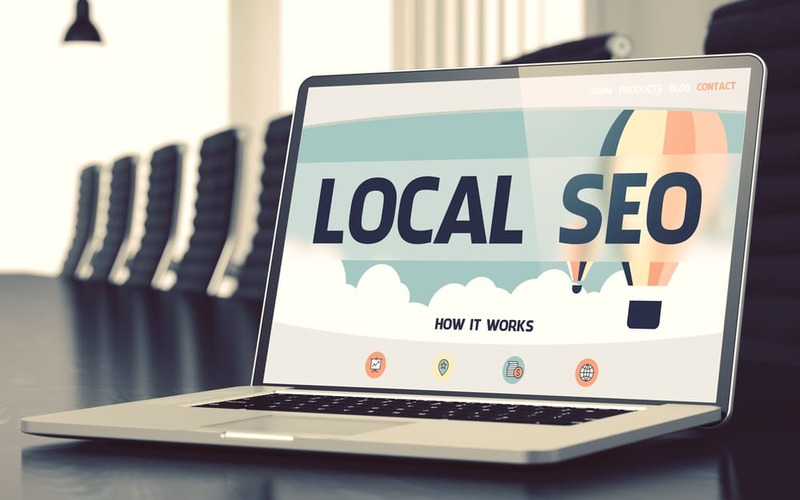 What does a local SEO strategy involve? A local SEO strategy will aim to deliver the likes of opening hours, directions to your business and product availability at a local store or branch. But this is not all that consumers want to know. One of the most important aspects of a Google local SEO strategy is inspiring trust. Trust comes from online reviews and ratings. So there we have our first local SEO task: online reputation management. Encouraging and capturing reviews and ratings is something of an art form and definitely something you’ll have to work hard at. But the results are always worth the efforts. The second task that forms a fundamental part of any local SEO strategy is citation building and management. Our dedicated blog on citations reveals all about what they are and why they matter (and how to make them really work for your local SEO). Citations are incredibly important for local SEO because search engines are always seeking credible information, which is confirmed courtesy of consistent listings right across the web. What’s more, consistency breeds trust amongst customers, making this part of the strategy doubly important. Next we have the Google Local Pack and Google My Business. If you regularly search for local services then you will be familiar with the Local Pack. It’s a featured set of organic results from search results that are locally orientated. How to achieve the all-important competitive edge in local search via the Google Local Pack is something we covered in detail in our Local Pack Intelligence blog. In short, you will need to make sure that your Google My Business listing is well-polished and up to date, displaying all the right information for people to get in touch with you. Bear in mind this listing feeds into Google Maps, so without everything present and correct you simply won’t have the presence you need within those all-important map listings. The final aspect of an effective local SEO strategy is on-page optimisation. Your website content will need to be ‘localised’ with keywords optimised for local search. As a side note, the mobile friendliness of a website is a major factor in this respect too, because we’ve already ascertained that local searches mainly emanate from mobile devices. Another essential consideration is optimising for voice search. If you regularly ask Alexa or Siri or Cortana or Google to tell you where the nearest chemist or florist or heel bar is, then you’ll concur that consideration needs to be given to styling content to work with verbal requests for information. That’s something we looked at in-depth in our Voice Search Boom post a little while back. Ready for Google Local SEO? If you’re a local business with a local audience looking to drive more customers to your store or boost enquiries for your locally based services, then now is the time to start work on your local SEO strategy! Here at Figment we’ve achieved amazing results for a host of local businesses. Up to 500 per cent growth in website traffic and more than a hundred page one rankings have made a considerable difference to their sales and their success. You can read more about how we approach Google local SEO and see from our case studies how we boosted visibility for a selection of local businesses right here. Ready to plan your Google local SEO strategy? Then we’re ready to help! Talk to Figment today.